TrackBot's unique architecture and penta-function sensor array (patent pending) are designed for collaborative agent (swarm) research as well as general university-level educational use. George Rudolph, Assistant Professor of Computer Science, The Citadel, has published a paper to be presented at the April ACMSE 2010 conference. The good news: the SPOT team survived the Oracle takeover and RIF almost intact. SPOT is being revised (to use more readily available components) and will again be manufactured in 2010. The unknown: well, anything about the future. Such as: will Oracle change the ridiculous Sun commercial license fee for Squawk ($100K and up - that's why you don't see Systronix squawk-based products). Will any commercial users sign up? Will a real developer community ever exist? Where will Oracle take this technology? Your guess is as good as ours (maybe better - if you work for Oracle), but for now at least, SPOT is still alive and seems to be moving forward. Recently out of stock from other sources, we have a kit for sale. We are not a dealer and won't have more. Due to limited resources we are not currently working on new TrackBot firmware. We have hit some implementation problems in our tachometry firmware so that upgrade is not yet available, and may not be achievable. We'll post more about that here or please post discussions in the TrackBot Google group. 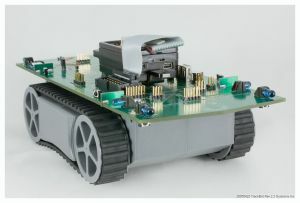 Cool software for simulating and programming robots from Cogmation! Given at the Mobile and Embedded Developer Days 2008 Jan. Very detailed information about SPOT and TrackBot from the designers themselves. 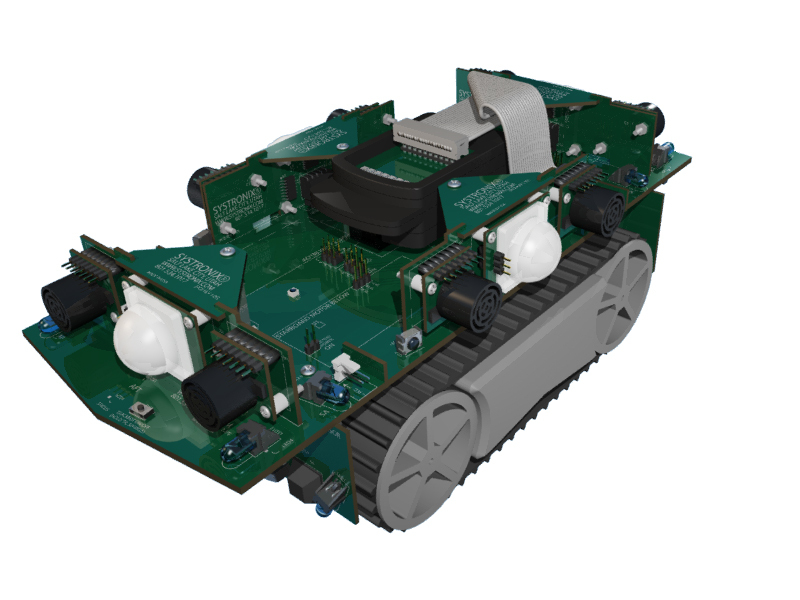 The robotics community has numerous active projects including several for TrackBot. Recent commits include demo code for RoboDev and IROS. Links to those conferences and code are at the java.net robotics project page. The RoboSim contest is technically over - but you still need this as part of the JavaOne RoboHACC "un-contest" - get all the information on the java.net RoboSim contest website. Use Java to control simulated TrackBots in the Greenfoot 2D world. Plus feel free to use this code for your own JUG or educational purposes. All of the code is free and open source. Wed May 07 at 20:30 at JavaOne. About 100 people came to see the Sonar/PIR plug on sensor module prototype in action as TrackBot attempted to detect a warm body and fire foam disks at it. TrackBot, Robot Area Network, Digital Reflexes, JStamp, TStik, JCX and JSimm are trademarks of Systronix, Inc.